Get started on your Single Page Plan today for £297 FREE Today! We're wavering our video training fee for a limited time only which means you can access all the training to help you create your Single Page Plan for life today for free! Get started today in 3 simple steps. Create your free account now and activate our free video training offer by following these 3 simple steps. 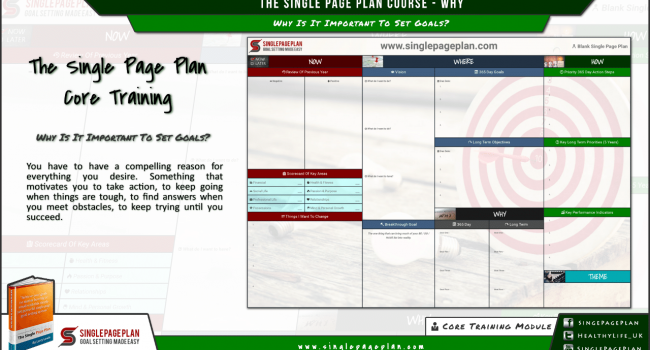 Save £297.00 today on our Single Page Plan goal setting system. Step 1: Click on any Sign Up Now button on this page. This will add our video training package to your basket AND apply the special coupon code to waiver the £297 fee so their will be nothing to pay. Step 2: Complete the checkout process. There is nothing to pay so NO CREDIT CARD INFORMATION IS REQUIRED and no billing address is needed! Step 3: Access the training videos from the members area. We will automatically create your account and grant you access to the training videos. All that's left is to access the members home page and work through the video training and create your Single Page Plan. 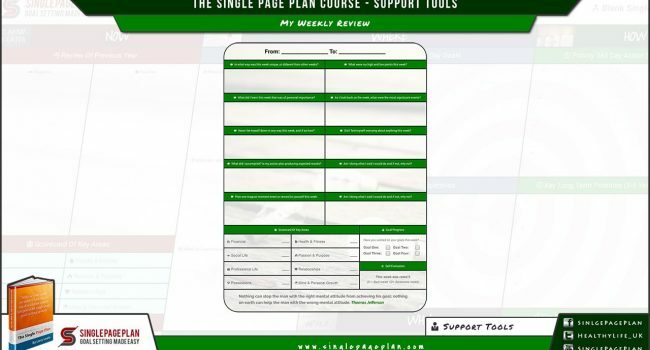 The core training modules introduce you to the Single Page Plan and the support tools. It's your starting point to making your next 365 days your best yet! You will need to work through all the core training videos before you can access any of the other training modules. We begin the Single Page Plan by doing a personal self-examination through looking back over the past year, we remember the good and bad, pain and joy, failures and success, happy and sad moments. Self-examination is about looking closely at your own conduct, motivations and actions. Look at your life; it is a collection of many vital areas. If you imagine your life as a pie, it will have 8 different slices to include: your social life, your finances, professional life, your health and fitness, the possessions you own, your passion and purpose reflected in your life, all your relationships and your mind and personal growth. Despite this multi-spectrum, you have only one life and each one of these key areas must be equally treated as important. To have balance in life certainly is one of the most important overall goals to reach. It's now essential that you get started on making positive changes in your life. But which ones will be the most important? Looking at your 8 key areas of life which changes would bring about the biggest improvements in your life? 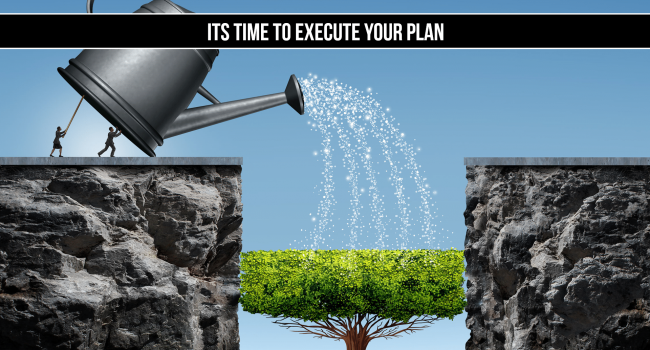 Once you are clear about these changes you’ll be shown how to create a plan, follow certain strategies and techniques to make sure these change come about. 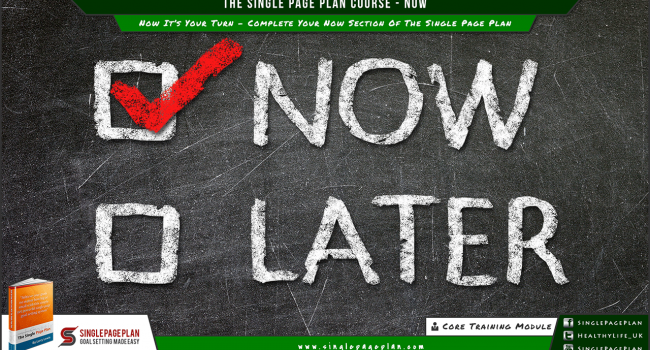 It's time to complete your Now section of the Single Page Plan! Have your answers ready for this module. 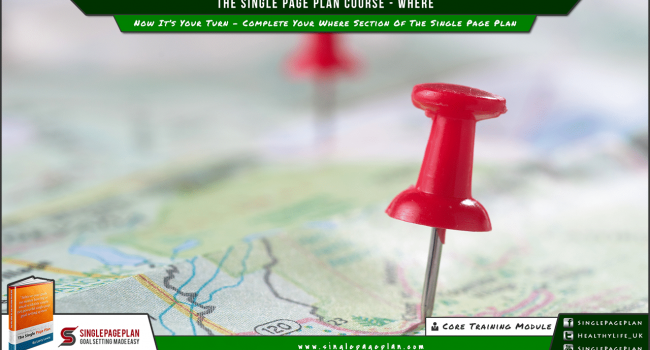 Once you've completed the online questions, you will have set your starting point and its time to move on to the next section for your Single Page Plan - Where. Here we introduce you to the Where section and we're going to design your life goals. By imagining your life in the future 3, 5 or 10 years from now you can start to figure out where you want to be, what you want to do and what you want to have. If you don't know what you really want in life, you’re not alone. Thousands, if not millions, of people wander the earth every day without a dream. It's time to get clear on what you want out of life. In this module I'm going to introduce you to your perfect life visualization technique. It's a very powerful visualization technique for figuring out what you want in the future. It's time to begin using your imagination to conceive the perfect life of your dreams. You will need 30 minutes in a quiet environment with no interruptions to complete this module. Sit back, relax and have fun with this module. Let your imagination run wild as you start to visualise your perfect day. So what do you want to be in your life? In this module we will find out! As a child, our dreams are limitless. We want to be a soldier, an astronaut, doctor, or a pop star. As adults often you have no dreams and never think of the things you want to be, the roles you want to play, the characteristic traits you demonstrate, the job or career you want to try. Now it's time to discover everything you want to be. Having started building your bucket list and determining the things you want to be, now it's time to carry on and work out all the things you want to do. What would you love to do? What would fulfil you? What “work” do you do that doesn't feel like work? The point is, figure out what you love doing, then do it. What Do You Want To Have In Life? Finally in creating your bucket list it is time to image the things you want to have in life. There are things we all want in our life, such as the most amazing friends, the best job in the world, and the perfect someone to love. One of the main reasons most people don't get what they want is that they aren't clear about what in fact it is they want. Others will recognize what they'd like to have, but don't believe it's possible to achieve it, so they dismiss their wishes as foolish and unattainable. In this module you will create a clear and concise big breakthrough goal that's going to transform your life. It's time to believe! Sometimes people find a big goal overwhelming, but chunking it down into a series of smaller goals seems more manageable and realistic. 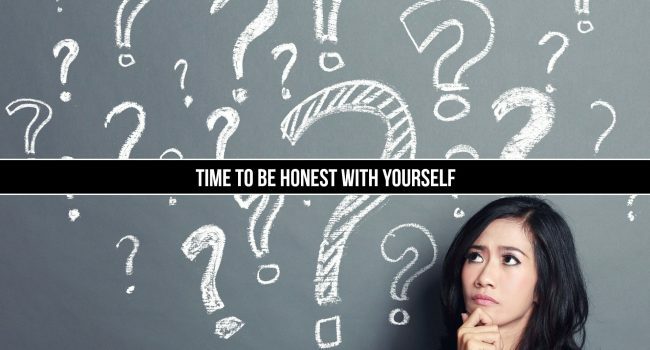 So having decided what you really want, with the specific deadline of one year, the next step is to determine all of the individual goals you will need to take to accomplish this big goal. 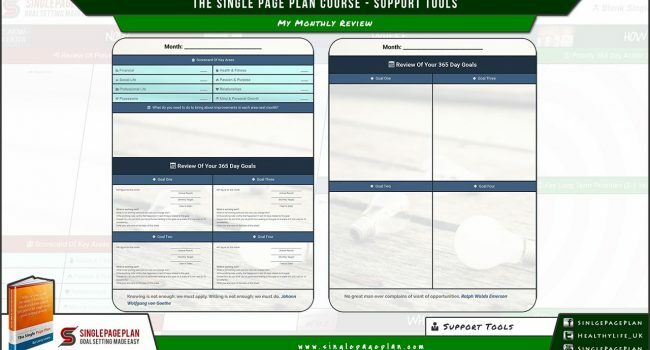 Now go create your 365 day goals in this module! Long term goals are crucial to our sense of happiness and well-being. They direct our actions and give us hope for the future. They provide us with a sense of purpose. You're now going to decide on your long-term goals which will ultimately lead to your perfect life long term vision. Having clear and specific long term goal keeps us headed in the right direction – somewhere we really want to end up, not just somewhere the circumstances might take us, empowering our beliefs. Now it's time to complete the Where section of your Single Page Plan. Things should be getting exciting! You have a blueprint of the life you want to live in 3, 5 or 10 years time depending on your time-frame. Join us in the next section where we are going to take a look at your Why. 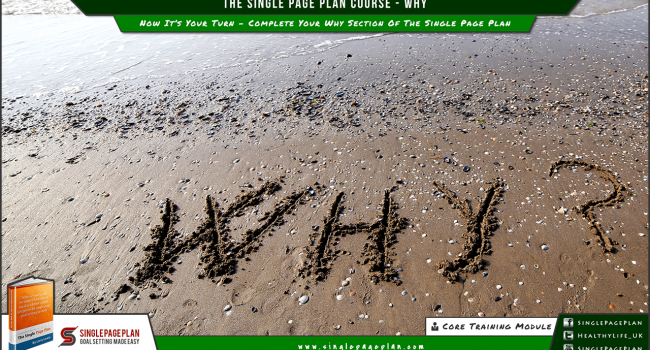 We're now going to look at truly powering up your goals by finding your whys. This will give you the true compelling reason behind every one of your goals, the real reason you want them. This will give you the inspiration and motivation to carry on towards your goals no matter the obstacles you confront. It gives you a purpose. When you clearly know the reasons why you want to reach a goal, it helps you stir up the energy you need to keep at it. In this module we're going to be taking a look at the short term goals you've set for yourself in the Where section. We're going to ask the important question - Why do you want to achieve these specific goals you've set for yourself? Only by answering this question will you know if these goals are right for you. Why do you want to achieve your long term objective? That's what we're going to figure out in this training module. Having long term goals allows us to see beyond today’s work and keep our motivation high, especially when we are faced with tedious, but necessary everyday tasks. It's time to determining your reasons for wanting each of your long term objectives. To become a goal achiever you have to have the determination that no matter what it takes, you are not going to stop before you have fulfilled what you set out to accomplish. You’re not going to quit; you’re not going to give up; not until your dream becomes a reality. But what is it that will give you this determination and motivation. Make sure you have truly found your reasons why you want to achieve the goals you've set for yourself. The How section is where "the magic" happens. We're going to look at how to set goals. More specifically, we're going to be looking at how your going to get from where you are now to where you want to be. This will be a step-by-step approach to turning the goals you've set for yourself in the Where section into a series of step you will continually work on until the goal you've set for yourself is achieved. Now we figure out how to set your long term goals. These goals are your key long term priorities that you always need to work to on all your goals. This module is where you start to get down to the nitty gritty of everything you need to do, where you will determine the specific tasks, details and action steps needed to achieve your 365 day goals. You must never take your sights off your long-term objectives as these are necessary for you to achieve your ultimate destination, a perfect life. Having long-term priorities will ensure that you do not stray from the route you have charted for yourself. This ensures you take a “long-term perspective” taking the future into consideration with every decision you make in the present. So in this module determine your long term priorities. Everything can be measured, and it needs to be. Why put so much effort in to doing things, trying to achieve things, when you don't then make the time to check on how well you're doing, are you keeping to the things you've planned, getting nearer to your ultimate goal. What could you measure for your short term goals? You always need to be able to track your progress for every goal you set out to achieve. Your final part for your single page plan is give your year a theme, something that sets the tone for your year, and gives you a banner to work under. This is your central theme for the next 12 months and you'll focus on integrating this theme into your life, going beyond just goal setting and making it a core component of how you live in the next year providing you with a purpose and a sense of direction. Congratulations! After updating your online Single Page Plan with all your answers from the How section your Single Page Plan will now be complete! Don't think you're finished just yet! Achieving these goals will be an ongoing process and we have some support tools to assist you which is what we're going to be looking at next. It's now time to review your progress so you need to make sure your goal setting worksheet is correct. If you're not waking up every morning raring to work on your plan you have got it wrong! As we travel on life's road, we have to take the time to consider what we want to accomplish along the way. In order to create the kind of life you want, it is important to ensure the plan you’ve set feels right. I now want you to connect all the common threads. You need to use four different colour highlighters. Then going over your plan, start with goal one and connect everything relating by marking it up in the same colour. Look at your changes, the why’s, the items on your three lists, and the how’s. Simply connect everything associated to this goal. Then do the same for each of your other goals. Now when looking at your plan in the future there will be even more clarity to your what, why and how. Ok, with your Single Page Plan complete, it’s time to take action! You need to work on your goals every single day in order for you to turn them into reality. You can’t leave your goal as a distant dream; you must begin to take action and start pursuing it right now. Now you must be committed to taking the steps necessary to achieve your goals and work on your goals every single day in order for you to turn them into reality. One of the most important things you need to do from now on is monitor your progress. We’ve touched on this before. You can celebrate your minor victories and make adjustments and changes when things aren’t going as expected or required. Reviewing your progress each week will keep you on track and keeps you focused on what’s important. This important step will ensure you stay on track with the goals that most matter to you. Each month it’s important to look back over the month just gone and analyse how things have been, determine whether you’ve done the best you can, detect any problems with it and quickly make necessary adjustments; look at how far you have got towards your objectives; identify any mistakes you’ve made and what you can learn from them; look at any new ideas or opportunities that have presented themselves and then if needed revise your plan to incorporate them. Life is made up of little moments. There is much we will experience on our life’s journey, so many memories worth preserving, every day will be significant, yet how much detail do you remember from last week, last month, and last year. Worse still look back to your childhood, how well do you remember it? You can spot bad habits that just waste your time. You can also spot when things are working well too! 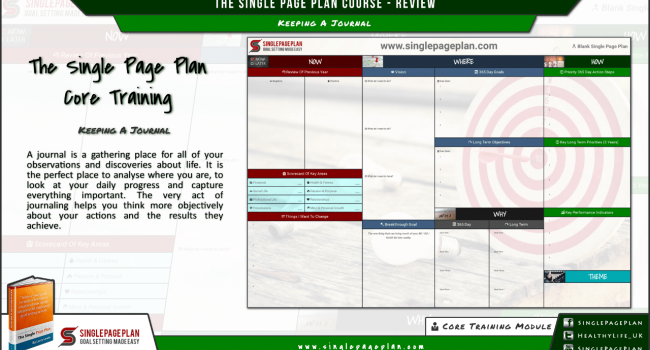 Now you've completed your Single Page Plan it's time to create an amazing action plan and then comes the fun part, executing it. 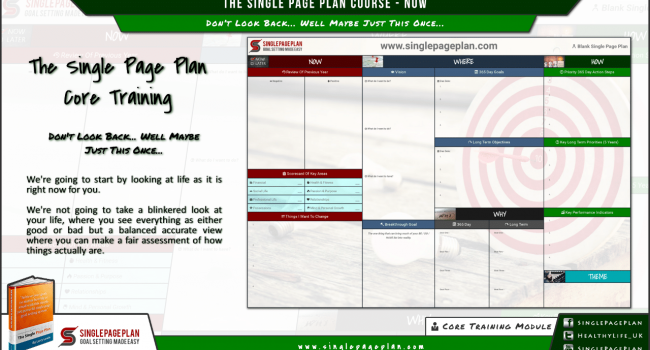 You've come a long way, now it's time for you to turn your Single Page Plan into a reality! Welcome to the Execute and Take Action training module. Creating your Single Page Plan for Life is only the first step. You now need to execute your plan and over the next set of training videos I’m going to show you how to use your action plan and all the support tools which are going to ensure you keep working on your Single Page Plan day in, day out. Achieving your goals or succeeding in any field of endeavour requires action. In fact, it requires massive action; the kind of action that most people are not willing to take to get the job done. Not only have you decided upon your goals and the breakthrough/BHAG goal to drive you throughout the next 365 days, you’ve also determined your high value activities. Each one of these will have actions you have to take, so take them. One of the enemies of success is inactivity. Unfortunately, when it comes to taking a bold step, for some reason, people do not commit to their dreams. The longer you procrastinate or avoid doing something, the more painful (in your head) it becomes. However, once you take action, the discomfort is far less severe than you imagined. Even to extremely difficult things, humans adapt. 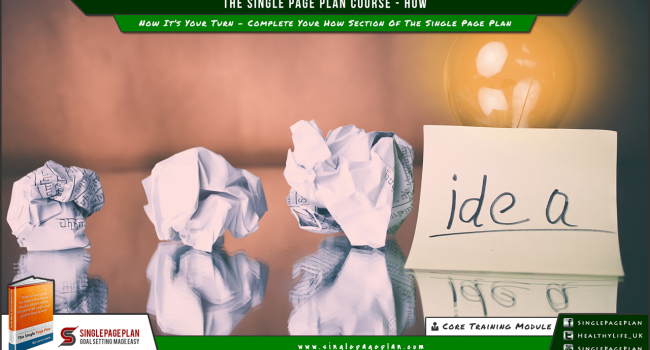 Learn how to avoid this when working on your Single Page Plan. It’s critical to review, assess, refine, and revise your plan. New situations and challenges are inevitable, and they’ve got to be factored into your plan as they present themselves! But it is also essential to see that you are making progress, getting closer to your goal achievement. Action is the key. You can be the most talented person in the world or have the best ideas, but if you do not take action you will achieve nothing. Doing the wrong things is nearly as bad. You need to keep track of your accomplishments and results. Set aside time so to evaluate how well your plan is working, and tweak it if you're not making the progress you want. In this video we show you how to use the Weekly Review Support Tool. A very important part of your Single Page Plan is to do your "My Weekly Review." This is your personal appraisal where you review your week so that you know what’s working for you and what’s not. Reflect on the things you did well, and the things you didn’t do so well and the things you’ve learned. This will ensure you keep moving forward in the right direction. In this video we show you how to use the Monthly Review Support Tool. You need to review your progress at the end of every month. Scheduling the monthly review is important, so I suggest you set the meeting into your calendar ahead of time. Take your review session schedule very seriously. 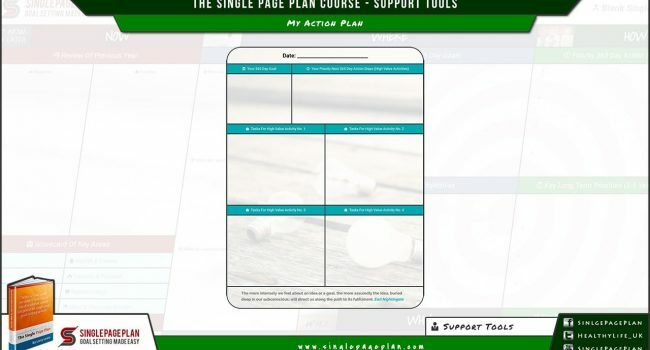 In this video we show you how to use the Action Plan Support Tool. We've made it really easy for you to keep track with how you're progressing on each goal on your Single Page Plan. Your online action plan is linked directly to your Single Page Plan and here you can go into great detail, listing every single step you need to make to ensure you clear each one of your goals. Journaling is a key tool for those wishing to bring about vast improvements in their life. 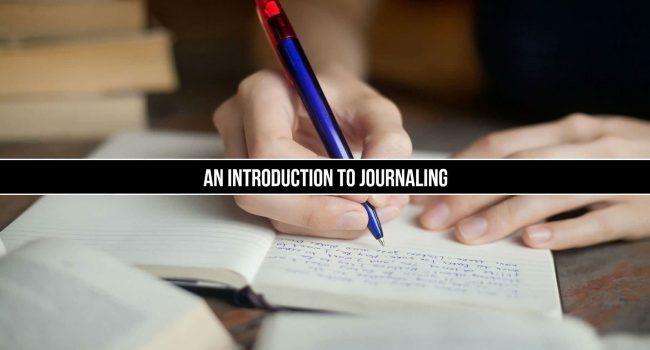 A journal is an ordinary, honest record of what is going on in your life, how you feel about it and your awareness of where your mind is, your feelings, thoughts, attitudes and responses to daily events. It captures things that would otherwise just vanish in the busy-ness of life. It allows you to build a record of what’s going on so that you can reflect, over time as long as you Journal consistently. Use the monthly review tool to track your progress. The Single Page Plan has clearly defined KPIs for each of your 365 day goals. 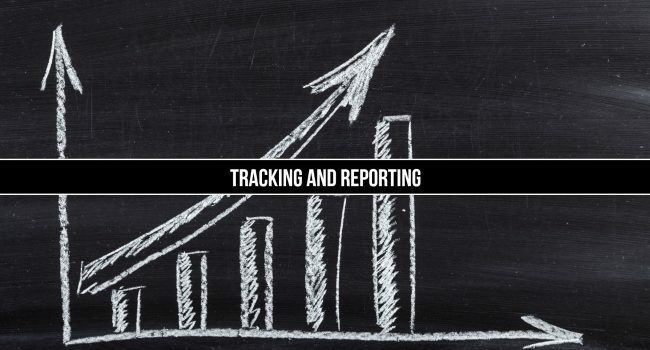 Use the monthly review tool to log, track and review the progress on each of your goals. Make improvements and adjustments as needed. Only when you track your progress will you know if everything is going to plan or if you need to make changes. This is a key tool to ensuring you succeed with your Single Page Plan. Create an action plan based on your Single Page Plan. Create a step-by-step action plan which will allow you to achieve your breakthrough goal on your Single Page Plan. 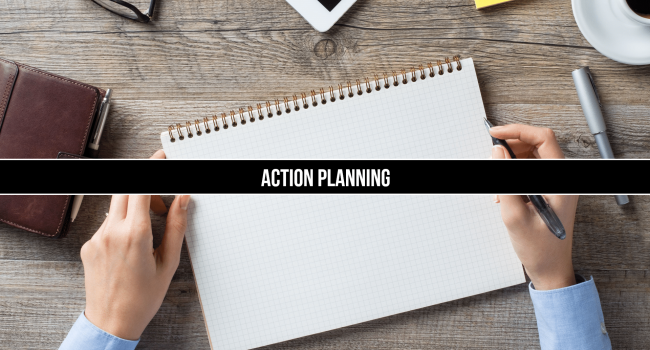 Automatically create an action plan for each 365 day goal. Create a seperate list of action steps for each one of your 365 day goals. Stay organised and know exactly what you need to do to achieve your goals. A gathering place for all of your observations. It is the perfect place to analyse where you are, to look at your daily progress and to capture everything important. Combines our proven goal-setting process with a daily productivity system. It’s the missing link that ties your daily tasks to your 365 day goals so you're constantly making progress.